TA-DAH! 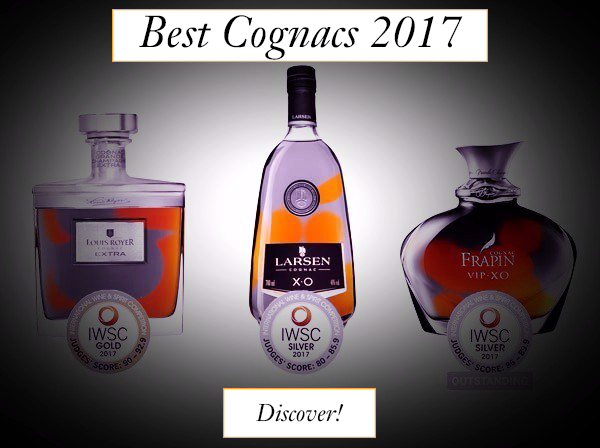 Here come the Best Cognacs for 2017, voted by a specialist Jury at the International Wine and Spirits Competition in London. Cognac-Expert congratulates the winners of this year's challenge, and can only agree with the judges' awards. We say, trust their experienced palates and take this as an opportunity to get your hands on the world's BEST! Read more about the award winners in our blog article. If you'd like to get a personal recommendation just reply to our text message we sent you. 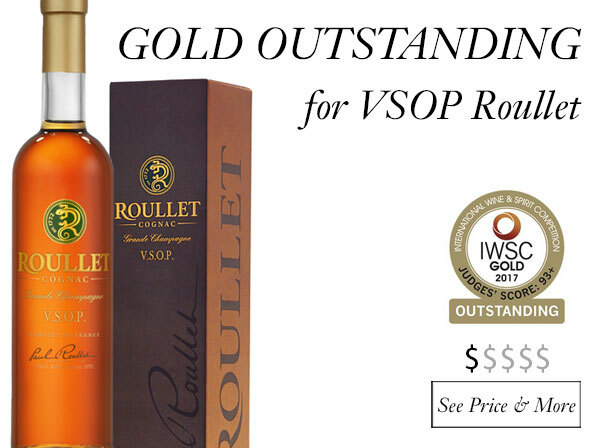 Only 1 Cognac made the Gold Outstanding award category, and this is Cognac Roullet VSOP, a brand not often seen beyond the confines of the Charente, even though the Roullet family were among the first to sell bottled Cognac to Paris in the 18th century. Continuing a long-standing family tradition, this Cognac signed Paul Roullet has to be on everyone's shelf this season! 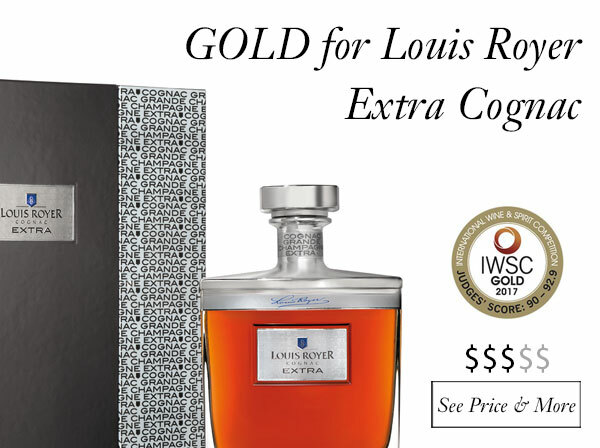 Louis Royer EXTRA is one of the very few Cognacs in this competition that won a Gold medal. And there's a reason. This EXTRA Cognac is made up of the oldest eaux-de-vie from the Louis Royer cellars. It's maturity is extremely hard to beat, even the big names will find it hard to match this quality. 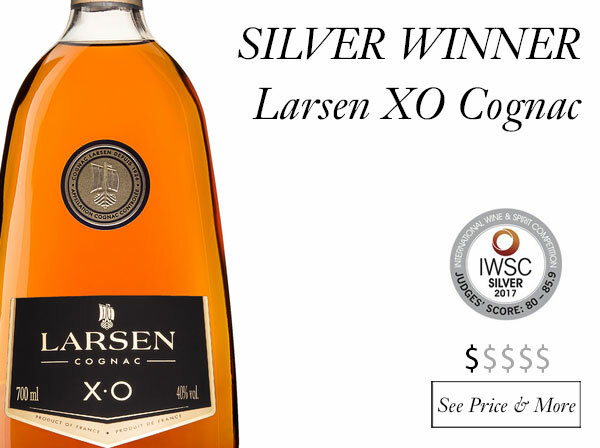 Very deserving of this Silver medal, Larsen XO is a modern take on a mature traditional blend. Its moderate tannins make this Cognac very round and smooth, with delightful notes of ripe fruit. 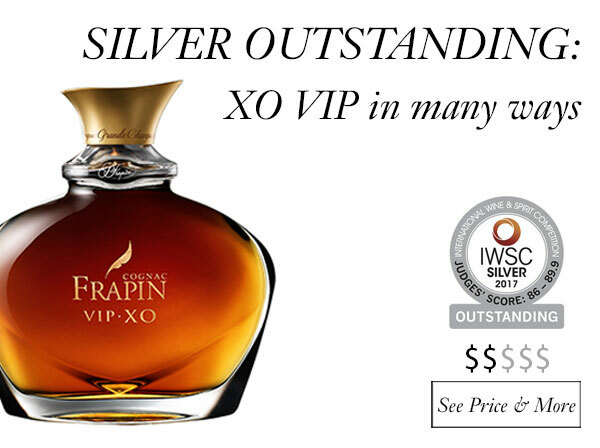 Frapin VIP XO was redesigned last year and is sold as a limited edition. The beautiful decanter reminds us of a perfume bottle–and carrying a simliarly precious liquid. This cru is from the prime Grande Champagne growth area and boasts subtle floral notes punctuated with dark woody aromas, dried fruit, and gingerbread. 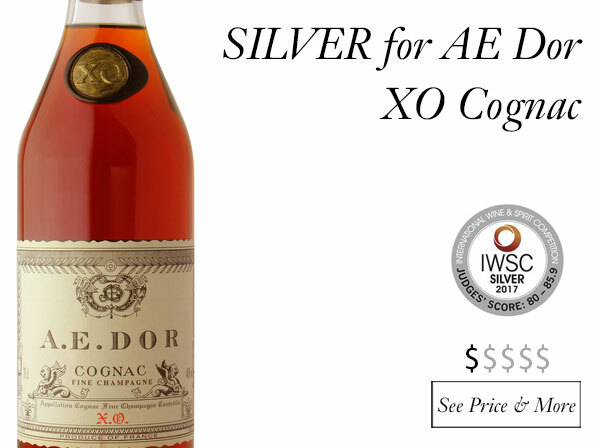 A true favorite the world over with those who know their Cognac, AE Dor XO Fine Champagne is an outstanding mature Cognac at an unbeatable price. Part of the AE Dor's "Tradition" range, it is presented in a classical Cognac bottle with an old fashioned label. The quality of this Grande and Petite Champagne blend with really surprise you.